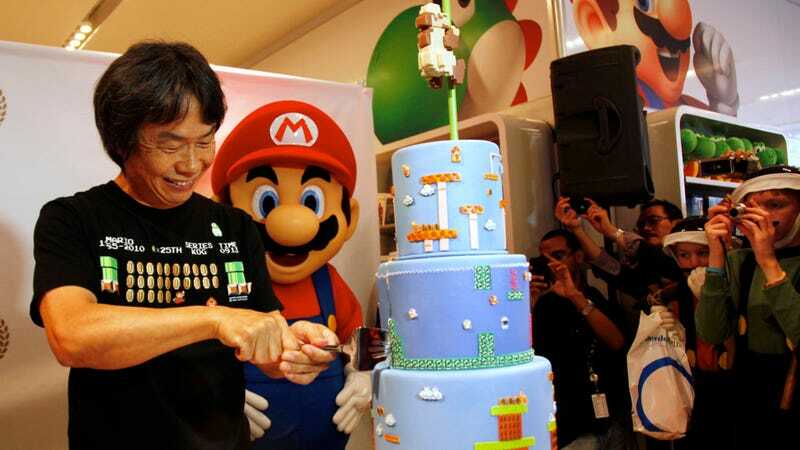 In Dec. 2011, a report surface claiming that Mario creator Shigeru Miyamoto said he was retiring. Nintendo quickly commented, saying the report was a "misunderstanding" and "absolutely not true." See, Shigeru Miyamoto is apparently always saying he's going to retire. Nintendo Denies That Mario&apos;s Creator Is "Retiring"
"During one of the interviews he accepted abroad, Mr. Miyamoto commented that he always tells his subordinates that he's going to retire soon, in order to nurture the young developers," Nintendo president Satoru Iwata recently said in an analyst meeting. "Mr. Miyamoto's intention in making these remarks is to change the developers' mindset because they will continue to believe that 'this is Mr. Miyamoto's responsibility, not ours' unless he encourages them to envision the workplace without him." According to Miyamoto, he is giving his staff more freedom to develop as game developers and is trying not to give too much direction as that could hold back their independence and growth. "I end up using less of my energy and, as a result, I am starting to have time that I can spend for myself," explained Miyamoto at the same meeting. "Now, I am spending more time than before on finding new ideas for new developments rather than focusing my energy on work in my (development) teams in order to solidify the contents of (existing) franchise titles." With Miyamoto overseeing one division and Iwata overseeing another, the work environment at Nintendo sounds like it is undergoing a new (and positive) change with work assigned to new people to see what ideas they come up with and how they handle their tasks. According to Iwata, the initial results are better than expected. Let's hope this approach not only means new games, but that Miyamoto can stop threatening retirement.